Fond of Snape » Blog Archive » I say … and you think … ? 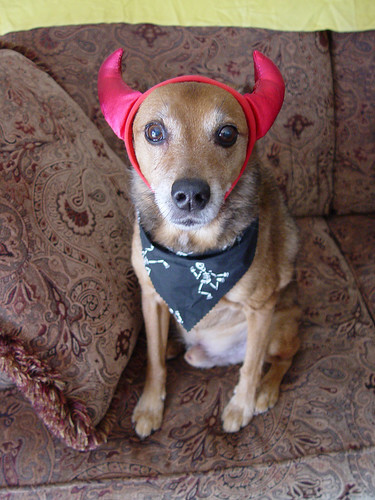 I see max as a devil and I think: poor dog he really is such a saint! My youngest has just been picked up to compete in both the school Spelling Bee and the Geography Bee. We were surprised! like taking an emotional bloodpressure with words! The rest of mine are like yours, except Satan leaves me blank. Emotional::Who Me? I have drugs for that. Those eyes are too much! Have a happy holiday, Janet.